In the news today is the plan to move Philadelphia Police Headquarters from the "Roundhouse" (seen in the above photo) to the building that once housed the the Philadelphia Inquirer and Daily News (seen in the below photo). I have a personal attachment to both buildings. I've been a been a contributor to the Inquirer and the Daily News since 1997 and I often visited the Inquirer Building at 400 N. Broad Street. I recall when the two newspapers were powerhouses and a mainstay of Philadelphia life. The tall, white building that housed the two newspapers was an iconic and instantly recognized symbol of Philadelphia journalism. 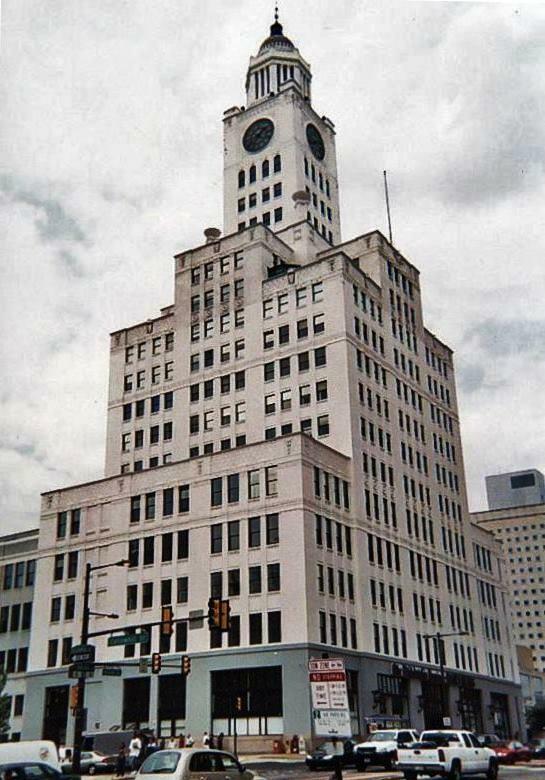 The downsized newspapers and Philly.com moved from the Inquirer Building in 2011 and sold the building as an economic move. The Inquirer, Daily News and Philly.com then took up residence at the offices of the old Strawbridge & Clothier department store at 8th and Market Street. As a writer I was also a frequent visitor to the Philadelphia Administration Building (called the Roundhouse) at 750 Race Street. Over the years I visited the Roundhouse and interviewed several commissioners, deputy commissioners, inspectors, homicide detectives, and many other police officers. The Roundhouse, so named because of the building's curved structure (some say it looks like a pair of handcuffs from the sky), is an old, cramped and beat up place. 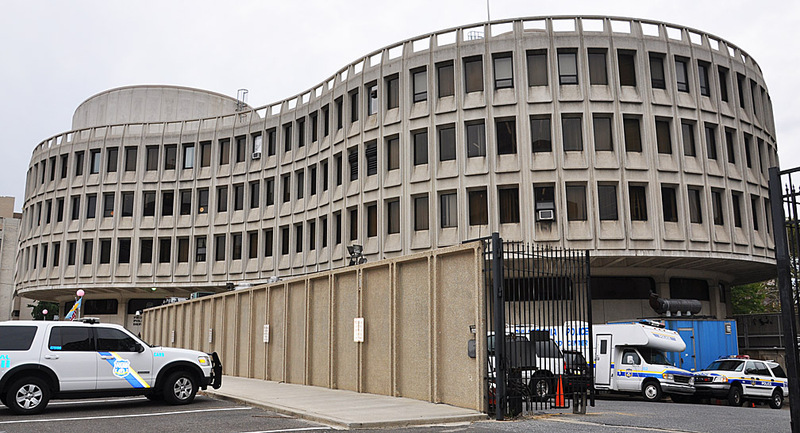 The cops need and deserve a better headquarters, although I'll miss visiting the old building after the proposed 2020 move. (I'm not sure the police who work there every day feel quite the same way). The Inquirer Building is also old and a bit rundown, but I suppose it is a step up from the Roundhouse. The small irony of the move is the Inquirer and Daily News had and have something of an adversarial relationship with the Philadelphia Police. 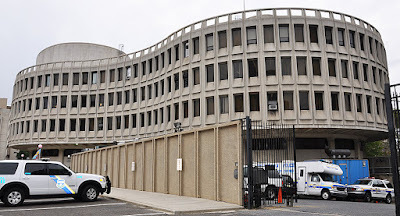 So the cops moving into the old Inquirer Building is perhaps akin to allied military forces moving into German military headquarters in Berlin at the end of WWII.